As part of an ongoing factory investment to meet the future requirements of the glazing industry, Regency Glass Ltd of Leigh, England, located just 10 miles west of Manchester, chose the advanced Glaston FC500 furnace to double its capacity and significantly boost its glass quality. In addition to offering a much wider range of quality glass products, Regency aims to reduce costs thanks to the energy efficiency that the new furnace brings to its operations. The Glaston FC500 investment is part of the 30-year-long history of Regency Glass, a well-known provider of double-glazed units for the replacement market in Northwest England and a major employer in the community with a staff of 90. Regency’s previous furnace was a Glaston Tamglass HTF, which was installed in September 1997, giving the company nearly 17 years of good service. The furnace was later upgraded with Glaston’s ECG+ convection system in 2002 to enable Regency to produce the types of Low-E glass that were on the market at that time. – Steve Massy, Sales and Marketing Manager for Regency Glass Ltd.
“With a company name change and a GBP 4 million investment in new machinery and equipment, Euroview Architectural Glass has set out to provide the finest specialized glass available to commercial applications across the UK. 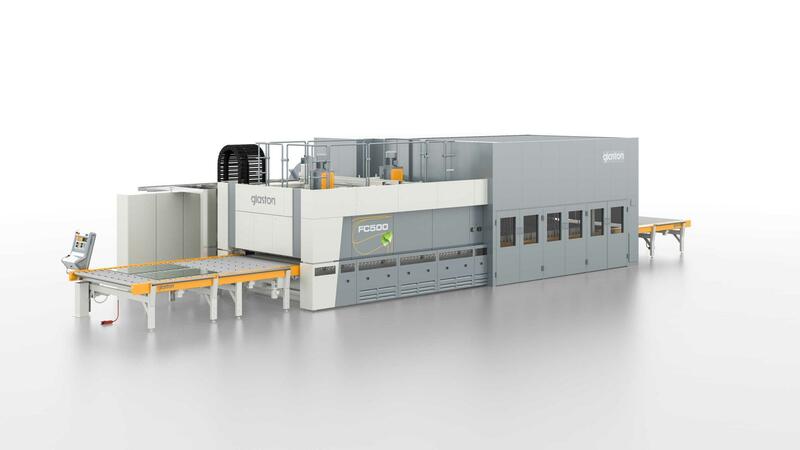 A key part of our drive for quality has been the addition of Glaston’s FC500 flat glass tempering furnace with the first iLooK online glass quality measuring system in the UK,” says Steve Larvin, Euroview Managing Director in Essex, UK.